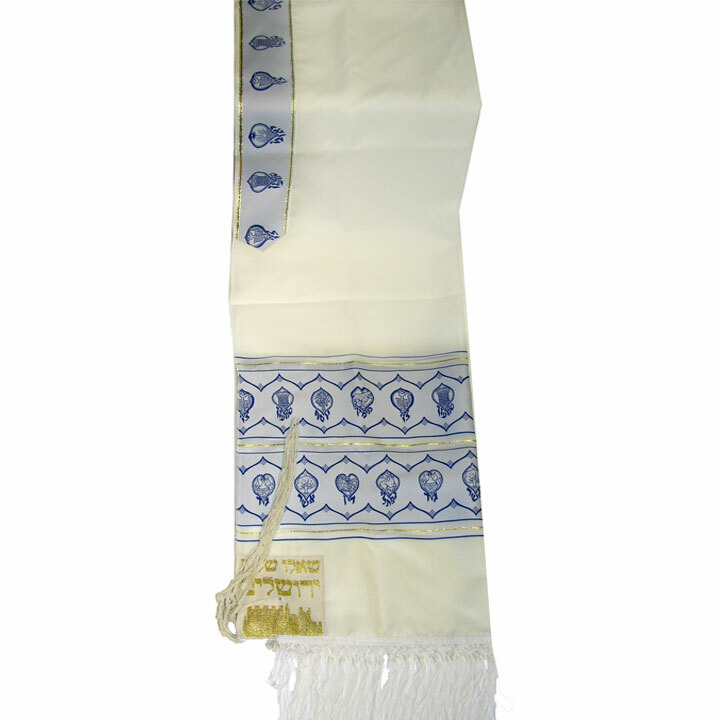 The Twelve Tribes of Israel Tallit set is made from a quality Dacron and wool blend. Set comes complete with matching tallit bag. All articles include matching imprints with the names and symbols of the Twelve Tribes of Israel. The forefather Jacob had twelve sons, each became an individual tribe. This tallit set attests to the unification of the Jewish nation as a whole. 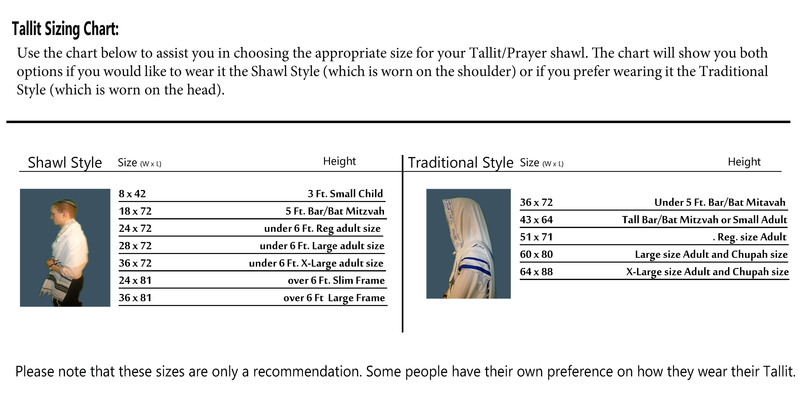 Tallit comes with a matching atarah neckband that includes the names and symbols of the Twelve Tribes. All four corners are reinforced with decorative material. Comes ready-made with tzitzit strings attached on all four corners.